Posted on August 26, 2016 at 3:01 pm. Crack that whip and ready your adventure boots at Leo Vegas throughout September, with more than $120,000 in treasures to be discovered and won. To celebrate the release of the Secret Of Atlantis slot, Leo Vegas is holding a massive cash prizes promotion. To enter the leaderboards, simply deposit $10 and play through select quest games to earn a point and work your way up to the top prize of $5000. Play select quest games on mobile to earn 2 points, while Weekend quest play is double points on both desktop and mobile. The leaderboard draw awards the top 50 players with cash prizes, with players taking home a share of $20,000 in each of the weekly leaderboards. 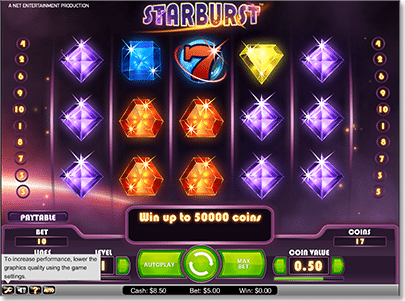 Select games will also have extra loot prizes, like free spins, credits and Apple products. Keep your eyes peeled for a special message below the games listed above to see if you have won any loot prizes. It doesn’t stop there: an additional $10,000 in each of the promotion’s four weeks lifts the total prize pool up to $120,000. Every $10 you deposit and play with on select games automatically enters you into the final prize draw. Twenty names will be selected randomly from the punch bowl on the Celebrity Blackjack Party table inside the exclusive Chambre Separee at 6pm AEST, on Thursday 22nd September. The promotion runs from 08:01 AEST on 25th August 2016 until 19.59 AEST on 21st September 2016. There is no limit to the number of points that a single player can earn during the leaderboard promotional period. The top 50 players on the leaderboards will be listed on the promotional page via the website in a leaderboard. The winners of the four leader board promotions will be contacted via e-mail or SMS, so be sure the casino can contact you via one of these means! Cash prizes will be put into player’s Leo Vegas accounts without any wagering requirements. Join LeoVegas.com to take part in these great promotions. You will also receive a 200% match deposit bonus and free spins when you sign up. Alternatively, if you are part of the excluded list, don’t fret – players from United States can enjoy similar generous bonuses and promotions at Raging Bull Casino.